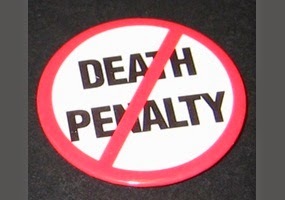 U.S. District Judge Cormac Carney, an appointee of George W. Bush, ruled Wednesday that California’s capital punishment system is unconstitutional because long delays create uncertainty. “[A]rbitrary factors, rather than legitimate ones like the nature of the crime or the date of the death sentence, determine whether an individual will actually be executed,” Carney wrote. The state can appeal the ruling, but that decision lies in the hands of California Attorney General Kamala Harris, a Democrat. One reason California takes so long to execute people is that, as has happened in other states, the lethal injection cocktail used to kill convicts has come under judicial scrutiny. Carney, a federal judge in conservative Orange County, is an unlikely character to eliminate California’s capital punishment system. As he explains, “the execution of an individual carries with it the solemn obligation of the government to ensure that the punishment is not arbitrarily imposed and that it furthers the interests of society.” Neither is true, the judge ruled.